Tired? Having trouble sleeping? Feeling stressed out? Muscular cramps? Constipated? – Studies show that 75-95% of Irish people are deficient in Magnesium. 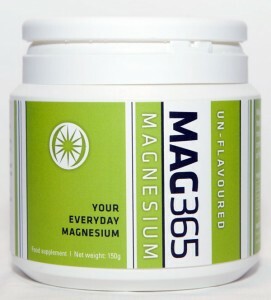 MAG365 is a magnesium supplement, which consists of two ingredients; magnesium carbonate and citric acid. When hot water is added it becomes magnesium citrate which is more bio-available than other magnesium preparations. 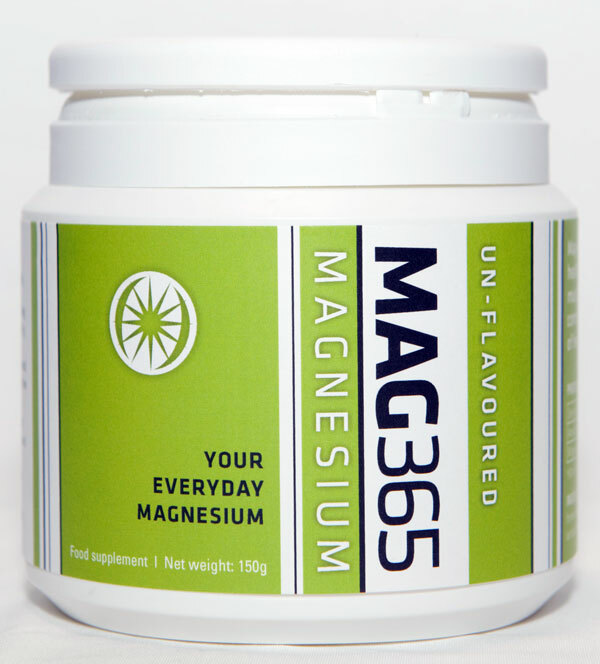 MAG365 is a proprietary process that provides the most absorbable, effective, fast acting magnesium. It is 100% natural water-soluble magnesium and handles excess calcium in the body, gradually dissolves calcium deposits, giving a new lease on life and instant relief to many symptoms of magnesium depletion and magnesium deficiency. Magnesium supplements restore magnesium to balanced levels in your body. When your body has the proper amount of magnesium, you will sleep better and handle stress better, which in turn increases your overall health and well-being. Small: 150 grams = 37 servings of 4 grams (2 teaspoons), each providing 375 mg Ionic Magnesium Citrate. Large: 300 grams = 75 servings of 4 grams, each providing 375 mg Ionic Magnesium Citrate. Individual needs may vary. Start by taking 2 grams (1 teaspoon) daily and gradually increase to 4 grams (2 teaspoons) per day. An optimal intake is reached when the bowels are comfortably loose. MAG365 is manufactured in the Netherlands.